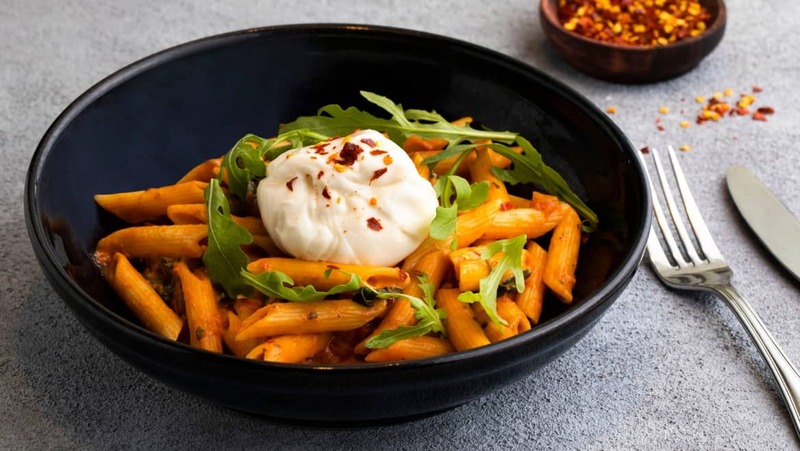 Penne pasta in a creamy marinara sauce tossed with spinach, rocket, pesto and chili flakes, topped with Burrata cheese. 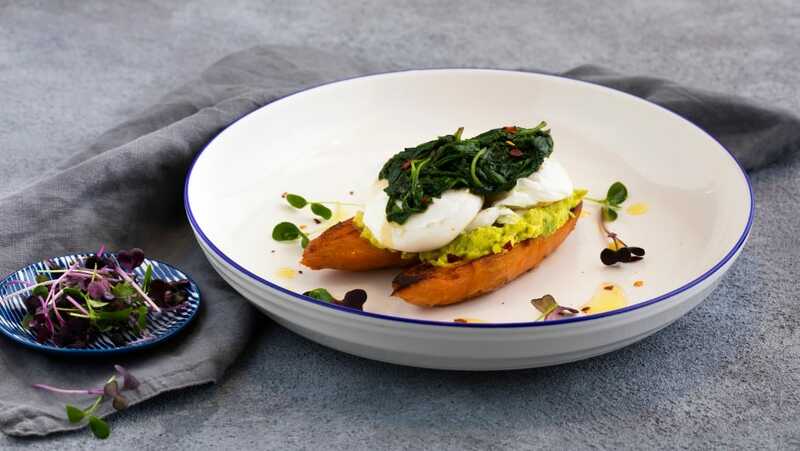 Poached eggs, spinach and avocado feta smash on sweet potatoes. 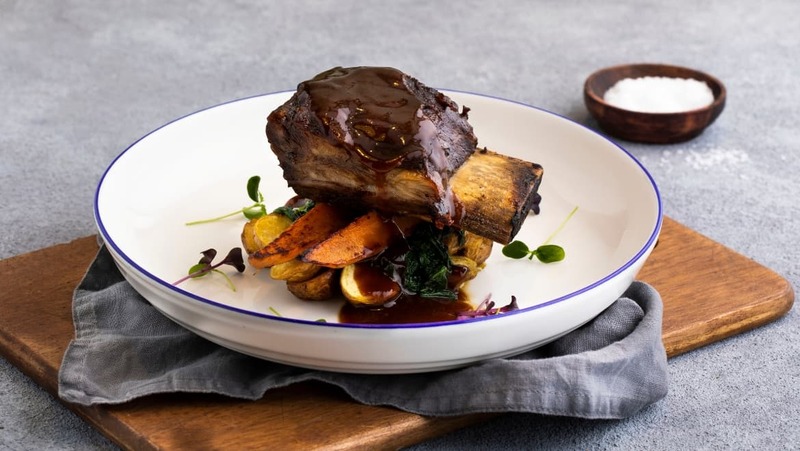 Glazed beef short ribs on a bed of spinach and mixed potatoes. 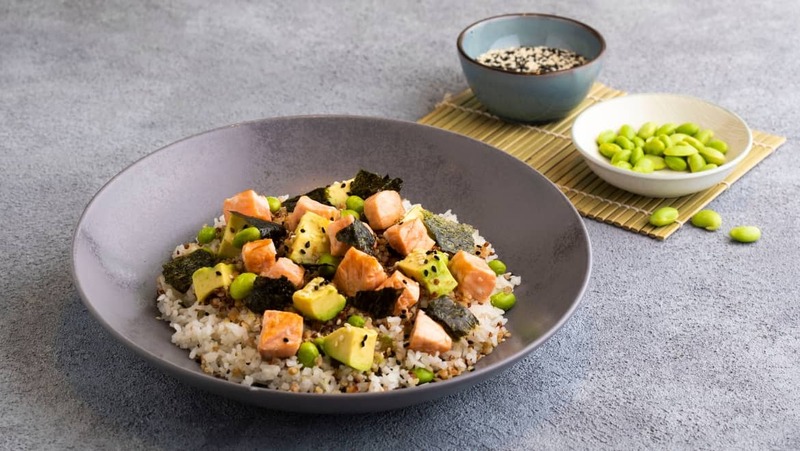 Grilled salmon, edamame, avocado, dried seaweed, quinoa, rice, and bulgur wheat. Sprinkled with soya dressing.